Gobo (ゴボウ) is the Japanese name for burdock. 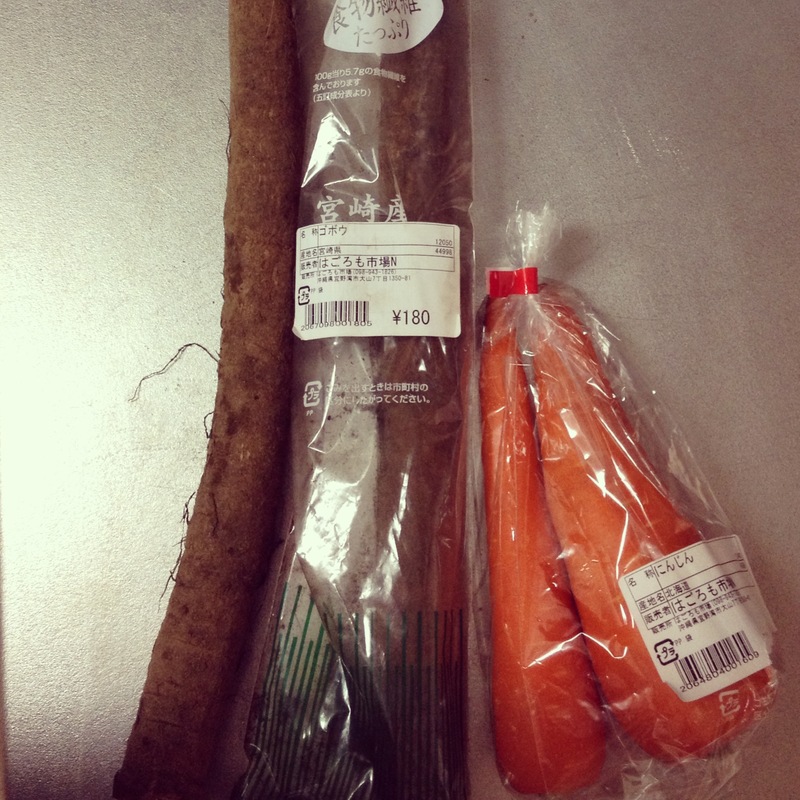 It’s a root vegetable that has a very pleasant and earthy taste. 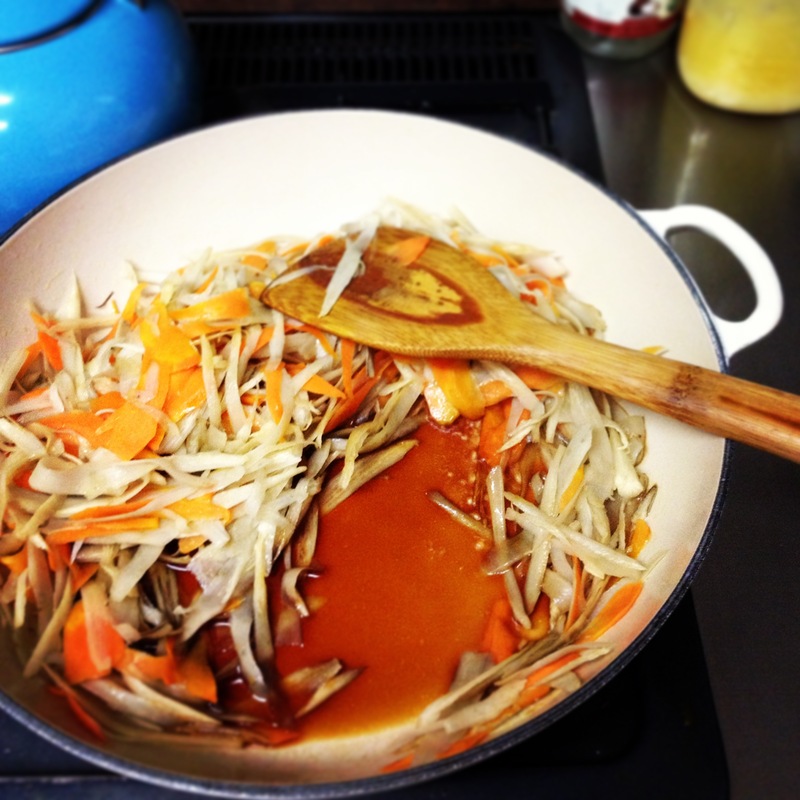 Kinpira (きんぴら) is a Japanese cooking style that employs two cooking methods in one pot: sauté and simmer. Hurray, for one less dish to wash! I had been taking burdock medicinally for a while before we moved to Okinawa to treat inflammation and eczema. 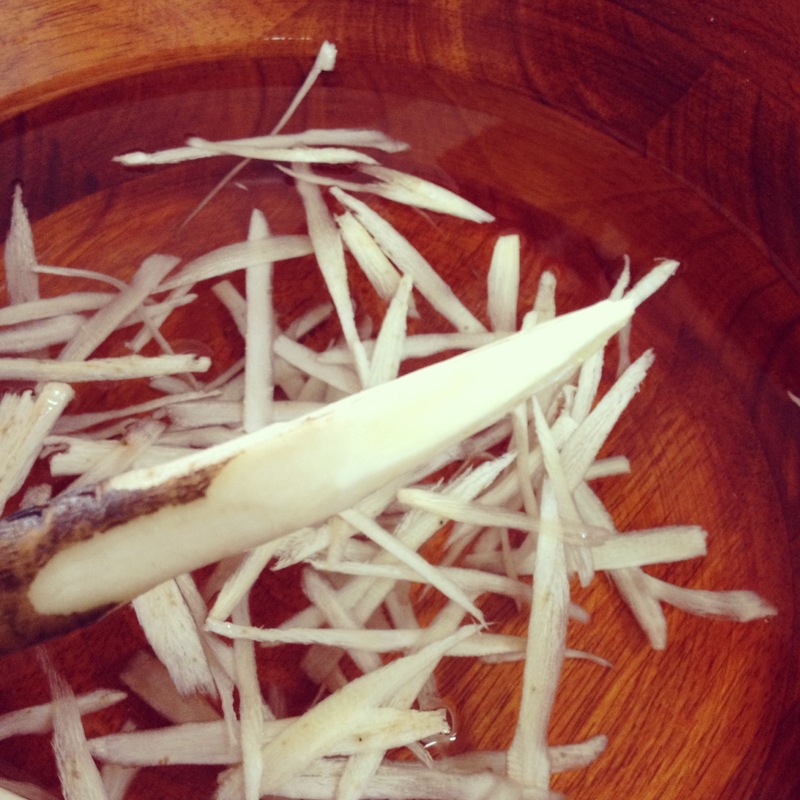 Burdock supports the liver, acts as a mild diuretic, and is well-known as a blood purifier. It’s particularly good for treating the pitta dosha. 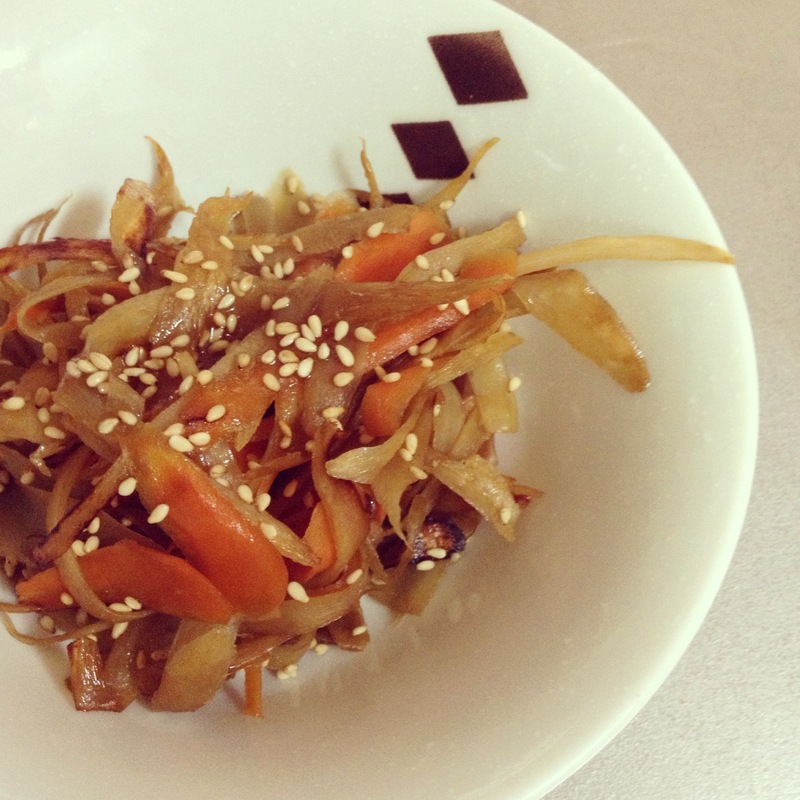 When we arrived on island I saw lots of fresh burdock; I was excited to try cooking with it. I chopped it up and threw it into a soup. It was ok, nothing great though. I tried it a few more times because it was local, and good for me. I just wanted to like it better. 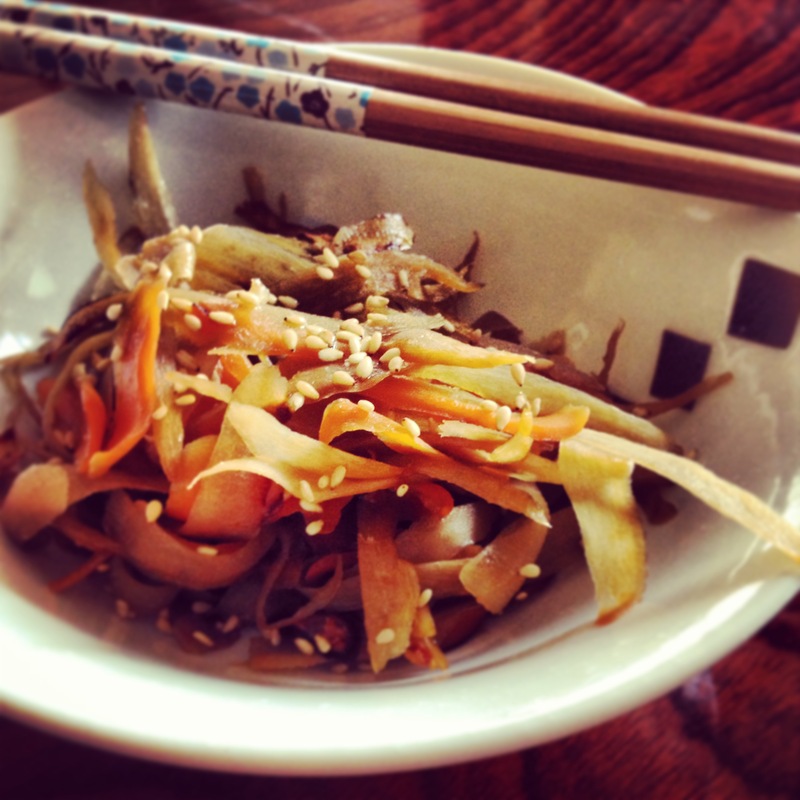 Then, during a trip to Seoul, I fell in love with burdock. Husbatron and I kept having this particular type of banchan (Korean side-dishes), and couldn’t figure out what it was. He found this fabulous Korean porridge place, which happened to be run by a Japanese family, so I asked about the banchan there. Wanna take a guess? Yep. It was gobo. Asking for a recipe was a tad outside of my ability, but before long, I found a way to duplicate a close approximation of this delicious preparation. Gobo is pretty fibrous, so it didn’t have a pleasant mouth-feel when cut on the bias. Long, thin strips are much better. Fast forward through some trials, tribulations, as well as a lesson from a Japanese friend and here it is for you! Wash the gobo well, then snap it in half with your hands, it’s easier to work with this way. Gobo oxidizes quickly so you’ll submerge it in water after it’s been sliced. Use a vegetable peeler to remove the skin, working with one piece at a time. Use the ends of the gobo as a handle and either with the vegetable peeler or a knife, slice in a circular direction around the root. (Bonus! You get to practice your whittling skills with this recipe!) You can do this directly over a large bowl of water. 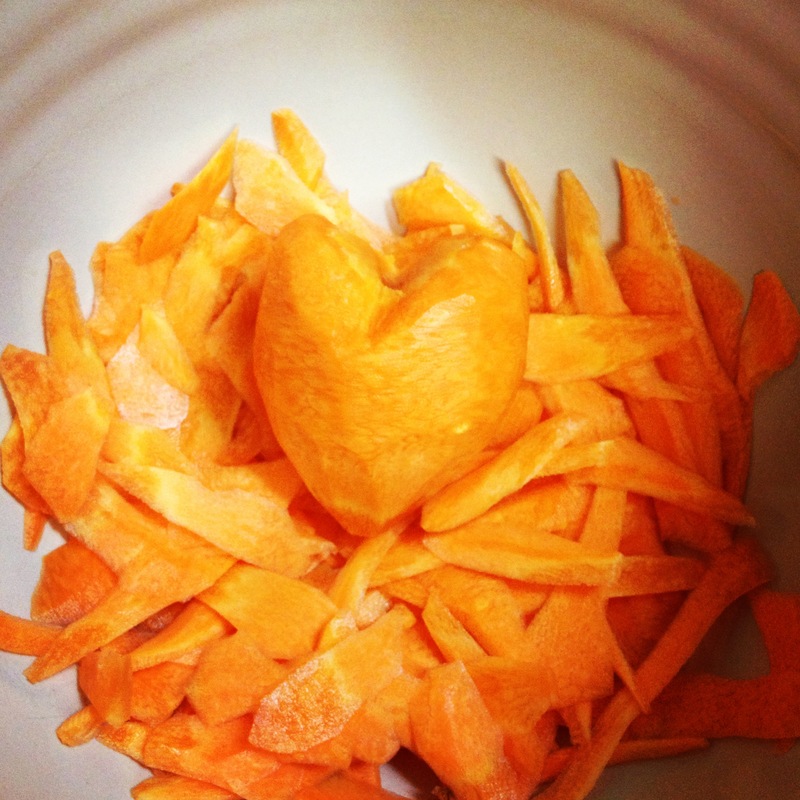 Once it’s all sliced and bathing in the water, peel the carrot the same way. Heat the ghee in a large skillet. Rinse the gobo, then transfer it to the hot pan along with the carrots. Sauté this for about 3-5 minutes; when it starts feeling like it’s sticking to the pan, add the soy sauce and mirin. Once most of the liquid has evaporated, stir in the brown sugar and sriracha. Cook until the liquid has evaporated completely. I like to let mine cook a bit longer to get a slight carmelization. Top this with the toasted sesame seeds and a drizzle of sesame oil. This entry was posted in Ayurveda, Food and tagged burdock, diuretic, eczema, gobo, inflammation, kapha, kinpira, liver support, naturally diy, pitta, vata. I’ve never heard of it, but it looks interesting. Just made this and it is delicious!! I just found your site via a Farmers Market of Okinawa page. I am in heaven! THANK YOU! Amanda, I’m so glad! Thank you for taking the time to let me know you’re enjoying it! !